Rick and Piper return to discuss everything they would like to see from Funko in 2019. Also, Piper has a moment to take back some of the bad things he’s said about Pez and ask for the mercy from the Pez community. Then Rick correctly predicts some Toy Fair Dragon Ball Z Pop!, they play the Piper Hot Topic Name Game, and Rick asks everyone to pitch in on Piper’s Disney Princesses Loungefly Backpack! Join the PCA next week when they discuss everything London Toy Fair….. it’s a lot….. no really it’s A LOT. What will we see from Funko in 2019? Mandrill Toys has yet again raised the bar for giveaways the complete Power Rangers 25th Anniversary common set. That’s 9 Pop! people. Sign up for the giveaway before 1/23/2019 to be eligible. Also, visit Mandrill Toys and Collectibles for amazing deals on great products! The goal for 2019 100 Patrons, referral bonus for patrons. Be our Brand Ambassadors! Discounts, Pop!, or PCA Merch. Rewards for everyone!!! Auction and Live Stream on Friday 1/25/2018 @ 8 PM CST. Pop! Will be announced by Wed and auction will be held LIVE!!! This time. Reminder there are still open invoices. 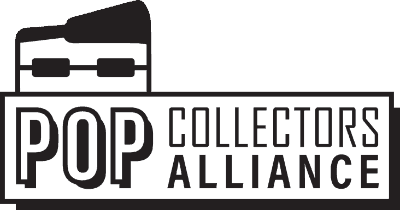 The post EP045 – Our Requests to Funko in 2019 appeared first on AstroPanda.